Email marketing is a form of direct marketing that uses email, or electronic mail, to communicate a message to an audience. Email has been a viable form of digital communication for several decades, and while it may seem irrelevant when compared to other more prevalent digital communication platforms, such as social media, it is still just as relevant today as it was in the beginning. Inbound marketing puts more focus on the user and is what causes them to go to a site which can then turn them into a potential lead and a loyal customer. Content marketing, social media marketing, and search engine optimization are all ways in which inbound marketing can be conducted. Email is another way that can be more personalized to the potential lead instead of being put in a mass email that is trying to appeal to more than one group. Email marketing has also been shown to provide a substantial return on the investment when compared to social media marketing efforts. Email has seen an average ROI of between 4,300% and 4,700%. It continues to prove to be a profitable marketing outlet because personalization and segmentation are easier, email marketing is less expensive, and the average person is known to check their email several times a day. As we have grown up with email and this digital age of communication, we have been taught to handle the emails we get, whether it is replying, forwarding, or clicking on them, each email is going to incite some form of an action. An email is effective at bringing direct traffic to a website which is a good strategy to undertake when trying to build a business, gain traffic, and drive sales. It is also a good way to begin seeing the results immediately. E.g. we can have multiple call to action in one email. Email marketing allows you to begin seeing results quickly and these results are often measurable. Meaning, you are able to track who opens emails, what links may have been clicked, and who is unsubscribing to the emails. Being able to measure, track, and monitor this kind of information allows a business to learn even more valuable information about their potential customers and leads so they can have a better point in which to improve for future email marketing strategies. Most email marketing softwares allow you to personalize your emails based on the first and last names of the users. Statistics show that personalized emails show a 14% increase in CTR and 10% increase in conversion. Personalized subject lines see a 26% higher open rate. Softwares today also track the user Journey. You can now send relevant emails and abandoned cart notifications to users. You can also put the right item in front of the relevant person at the right time to guarantee you higher conversion rates and lower unsubscribe rate. Finally, many people today are connected via their smartphone, and they use this device for many different tasks throughout the day including checking on emails and maintaining communication and correspondence. Whether they are in line, waiting for a meeting to begin, or see some downtime, they have access to their phones so they can check their email while they are on the go. Accessing email is one of the most used daily activities on a smartphone and tablet as of a few years ago which brings us to an average of approximately 91% of people using their phone to check their email. 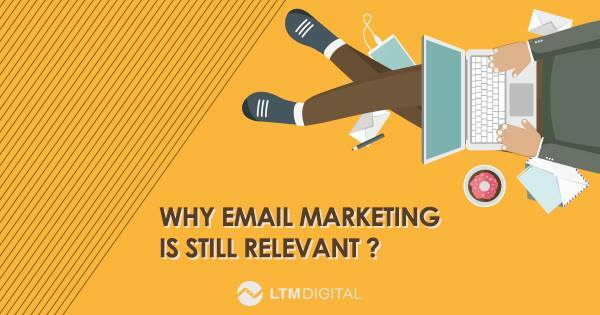 As you can see, email marketing is still a very viable form of communication and marketing for business, and without it, you could be losing a substantial audience and miss out on some profitable opportunities.